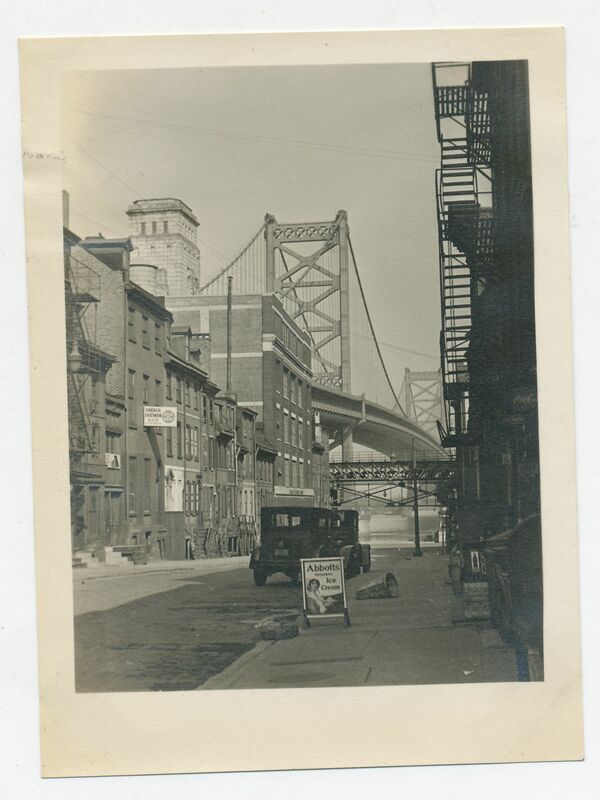 Absolutely terrific photo of old (well, not THAT old) Philadelphia, with the Benjamin Franklin Bridge looming in the distance. 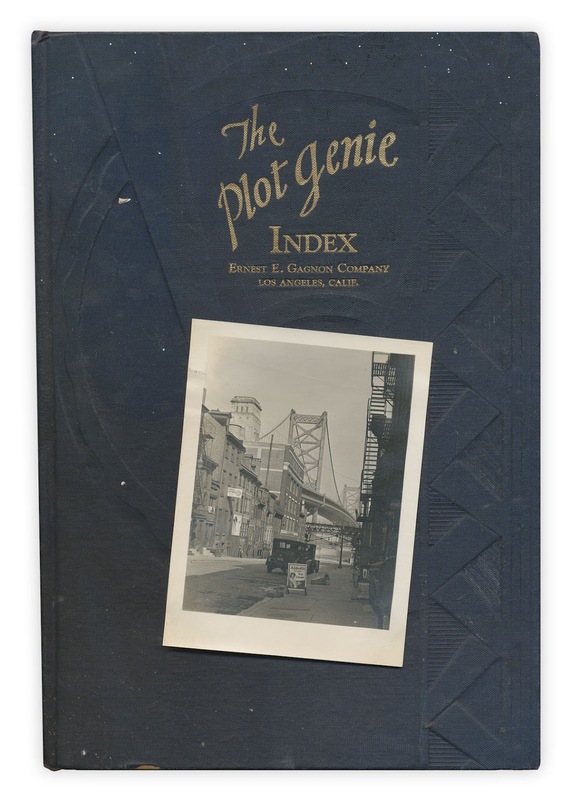 Found in "The Plot Genie Index" by Wycliffe A. Hill. Published by Ernest E. Gagnon, 1934. If you'd like a bigger and cleaner version of the photograph, here it is. It really neat to see the differences! 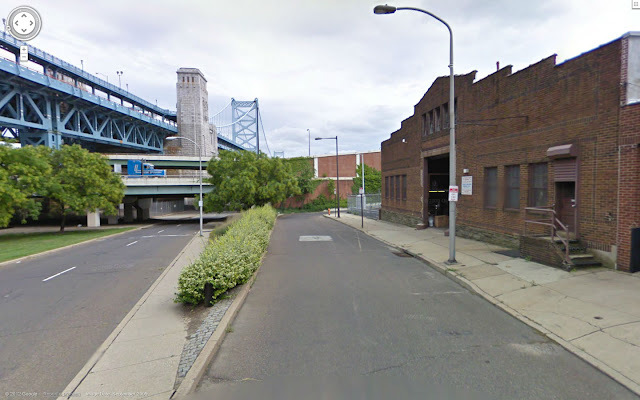 I lived in Philadelphia for a short time, but I definitely wouldn't've been able to pinpoint the street at all. Definitely like the "old" view the best. Yeah, you pretty much got it -- that's Race Street, around the 200 block, looking east. Not so picturesque now, but you only have to go a block or two west on Race now to find the same sorts of buildings that are show in the original (delightful) photo. If you've ever seen the Travolta movie Blow Out, the street view of his apartment building is similar to this also. Terrific find and excellent Google mapping. Because I can't leave well enough alone, I've also just found this picture at the Library of Congress. http://www.loc.gov/pictures/item/2011635125/ It is VERY close to the old-timey picture. More searching on google maps, seems to indicate that the red building in this picture is the one I've found here: http://goo.gl/maps/yZSr although the intersection has changed quite a bit in the last 20 years.